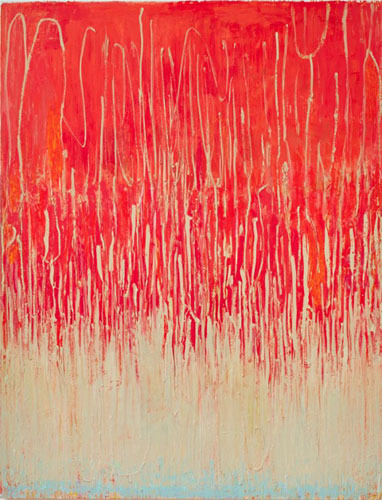 Barbara Rose interviews painter Christopher Le Brun. Le Brun comments: "Painting wants to be spatial. It has a compass in it that switches to north, and the north of painting is space... But painting is also—which is not said enough, at a high level—extremely difficult. Because you’re not trying to simplify the situation, you’re trying to carry everything forward, which is complicated... The other question is your association with the medium. The great violinist has committed their entire life to their instrument. And painting is like that. It is a medium with which you need intense familiarity and identification. And then when you speak through it, people pay attention, knowing you’ve given your life to it. I don’t think that’s an exaggeration. It is profoundly different to choosing a medium out of convenience 'This is my medium'; 'This is what I do.' Painting resists being used primarily as a vehicle. It rewards your love and association as an artist; it doesn’t want you to use it to carry what the world regards as a worthy message."